My book reviews have shrunk over the past six months, mainly due to the time constraints of full-time writing. You’d think I’d have more time, but that hasn’t been the case. Size matters in Texas, but don’t judge the quality of Tom’s book by the length of my review. Allegiance is awesome, and I’ll let you in on a little secret—I’m reading an advanced copy of Allegiance Burned (Book Two). INCREDIBLE. Abrahams has put together a winning series, with memorable characters and serpentine plots. “There’s a lot to like about Tom Abrahams’ recent release—beyond “Beer, Redheads, And Politics.” Sizzling storyline, snappy dialogue and fiercely intelligent twists are just a few of the elements that lift Allegiance out of the vast political thriller muck and establish Abrahams as one of my favorite authors. 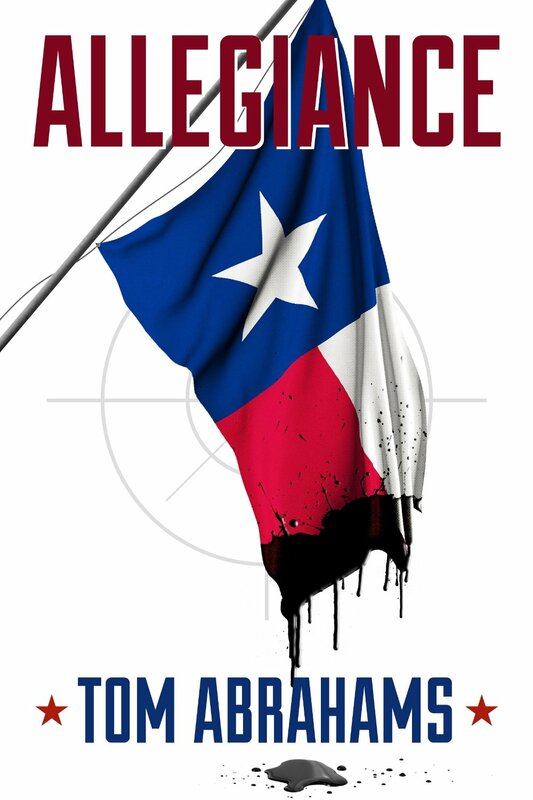 Allegiance pits underdog, Jackson Quick, against a powerful cartel of Texas politicians, oil barons and multinational interest groups, in a brutal, high-octane cat and mouse game played out across the southwest United States. Abrahams quickly turns Quick’s comfortable, Texas lifestyle upside down, tossing him into the middle of a complicated conspiracy with the potential to bring the Oil Industry to its knees. Paired involuntarily with one of Abrahams’ most brilliantly notorious characters, Sir Spencer, Quick reluctantly embarks on a deadly mission to uncover the truth about his boss, the Governor of Texas.